Serpa Chrysler Dodge Jeep RAM is your number one destination for genuine Mopar parts in the Scarborough, Agincourt and the greater Toronto region. 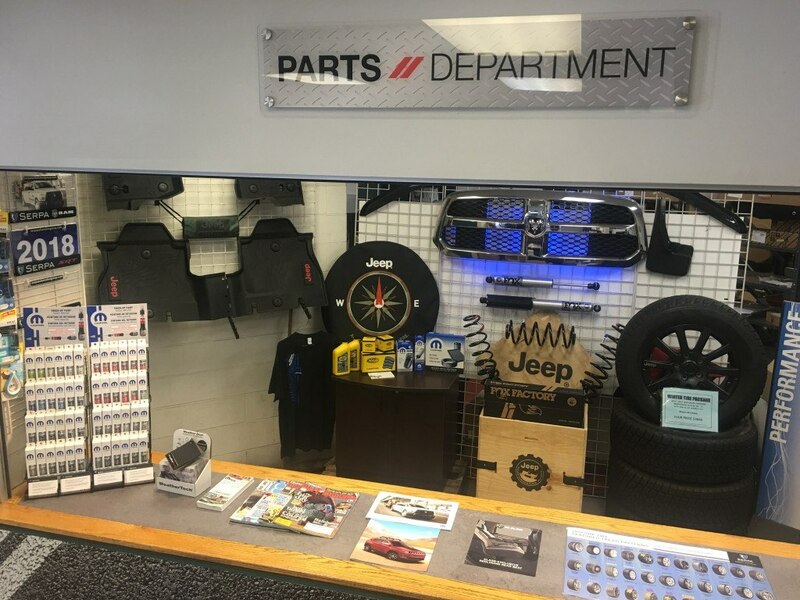 Our Parts Department team stocks only the highest quality parts and accessories, including the Chrysler OEM parts unique to your vehicle. Whether you are installing these parts yourself or having our top notch service team take care of it, you can be confident that you'll be receiving the very best in both selection and price. Not only do we carry the best parts, but we carry a huge selection in our everyday inventory. This means that we can complete many orders right away, and the rest with quick shipping times from our national parts distributors. Better yet, our knowledgeable and friendly team can assist with any questions that you might have. With leading experience, we are ready and waiting to assist you in finding the parts you need, at the price you want. How Do I Buy a Part? Once we receive your request, we'll do our best to accommodate your needs right away. No matter what you are looking for, get in touch today and let us worry about the details! Once we can confirm the right parts for you, we will be in touch with you to let you know all of your options. Whether you want the item set aside for pick up, ordered in, or delivered - just let us know and we will take care of the details. We also offer OEM accessories and performance parts for your vehicle to make sure it's customized to your heart's desire.